i book tickets for 9 people n just redeem at the maokong gondola station. at first we confused wether to go to zoo station or taipei zoo..but then we go to maokong straight to redeem the voucher..and we got ticket for both ways..and we can choose cryral or normal cabin.we take crystal as it not have long queue.. it takes quite long time about 40minit each ways.. but we enjoyed the scenery its very high.. i book tickets for 9 people n just redeem at the maokong gondola station. at first we confused wether to go to zoo station or taipei zoo..but then we go to maokong straight to redeem the voucher..and we got ticket for both ways..and we can choose cryral or normal cabin.we take crystal as it not have long queue.. it takes quite long time about 40minit each ways.. but we enjoyed the scenery its very high..
My favorite activity in my tour of Taiwan. 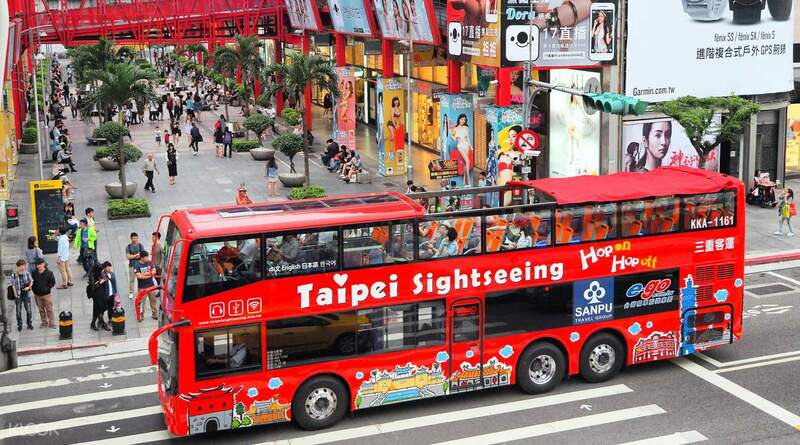 Got to see Taipei at night with the Hop on Hop Off bus. Too bad I didn't get to buy souvenir bus keychain. The gondola ride took my breath away. Tip: Choose the crystal eye (NOT the regular gondola) to see the lush forest right under your feet. Best package klook! Saved us the trouble and money! My favorite activity in my tour of Taiwan. Got to see Taipei at night with the Hop on Hop Off bus. Too bad I didn't get to buy souvenir bus keychain. The gondola ride took my breath away. Tip: Choose the crystal eye (NOT the regular gondola) to see the lush forest right under your feet. Best package klook! Saved us the trouble and money! The longest cable car I experienced so far. I really enjoy the scenic, mountain view and the skyscraper view from a far. The nature combined with the good weather---sunny but the wind was cold, feeling so great. I love the crystal gondola it gave me a thrill coz I have a little fear of heights. When I was looking down at the bottom glass I imagined the feelings of a flying birds seeing all the goodness of God creations such as trees, mini falls, grass and birds. I love it! When we reach the highest point there was a street on the left side from the Maokong gondola exit full of vendors selling taiwan delicacies. We tried the grilled squid, fish balls, stinky tofy (best ever), taiwan noodles, braise beef with rice and there fresh squueze refresher, a cold sugar cane juice and lime juice. Taiwan street foods made our Tummy Happy! 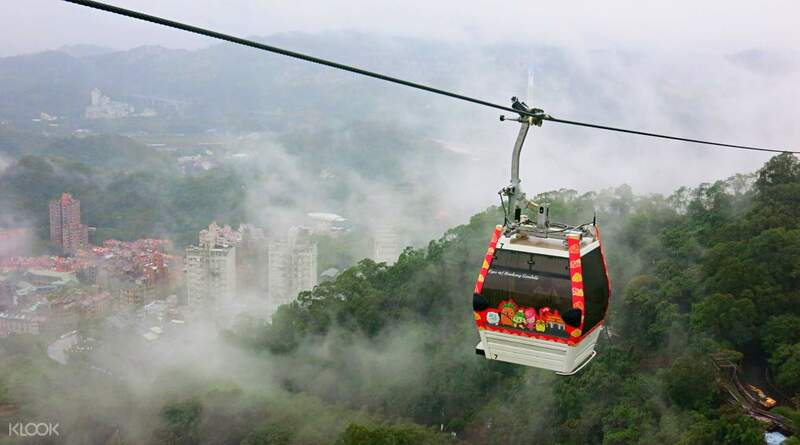 The maokong gondola also have an easy access going to taipei zoo but it has a different entrance fee. Hopefully soon klook will offer a combination of a maokong gondola and Taipei zoo access. Because of the Maokong gondola access to the zoo I got to see the Panda bears in real life and it pull the childish heart in me, the happiness and excitement. Definitely recommend this tour from klook. The longest cable car I experienced so far. I really enjoy the scenic, mountain view and the skyscraper view from a far. The nature combined with the good weather---sunny but the wind was cold, feeling so great. I love the crystal gondola it gave me a thrill coz I have a little fear of heights. When I was looking down at the bottom glass I imagined the feelings of a flying birds seeing all the goodness of God creations such as trees, mini falls, grass and birds. I love it! When we reach the highest point there was a street on the left side from the Maokong gondola exit full of vendors selling taiwan delicacies. We tried the grilled squid, fish balls, stinky tofy (best ever), taiwan noodles, braise beef with rice and there fresh squueze refresher, a cold sugar cane juice and lime juice. Taiwan street foods made our Tummy Happy! 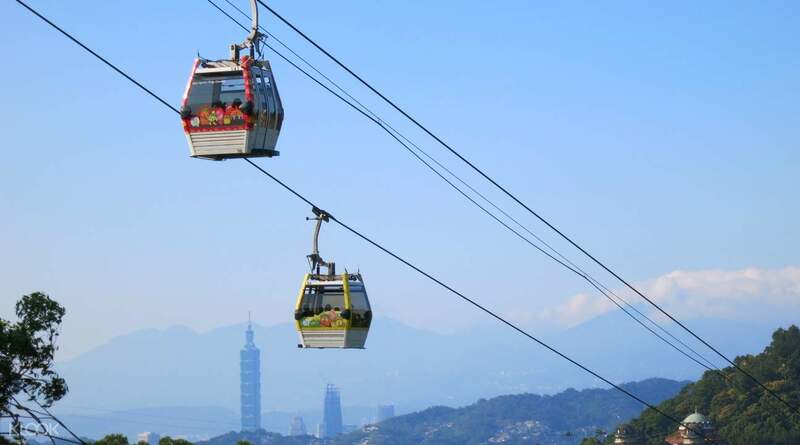 The maokong gondola also have an easy access going to taipei zoo but it has a different entrance fee. 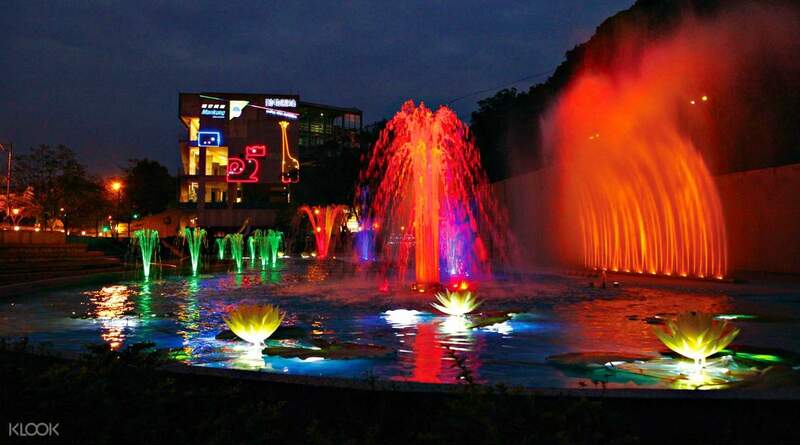 Hopefully soon klook will offer a combination of a maokong gondola and Taipei zoo access. Because of the Maokong gondola access to the zoo I got to see the Panda bears in real life and it pull the childish heart in me, the happiness and excitement. Definitely recommend this tour from klook.